While Bruce, Ron and Paul make up the core of the group, we couldn't do these projects without the remarkable musicians who have contributed so much to these recordings. 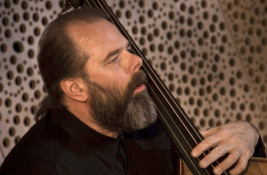 Bassist Marty Ballou has been with us on every project and has contributed some of our favorite arrangements. 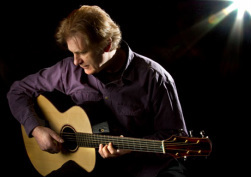 Guitarist Peter Calo helped us create a more contemporary sound for our CommonGround recordings with his distinctive acoustic fingerpicking and his fiery electric guitar playing. 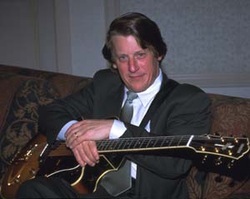 Guitarist Gray Sargent is best known for his continuing contributions on stage and in the studio with American legend Tony Bennett. 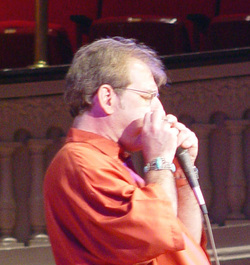 Check out his swingin' solos on The Way You Look Tonight and Like Someone In Love. Paul Nagel is featured on our Jazz For Lovers album as well as many others available at Itunes, including Boz Scagg's beutful jazz record But Beautiful. Paul was also with us at Brown.